The first month of testing new fare boxes has gone smoothly and experts say MetroBus customers and operators have been quick to adjust to the new fare collection equipment which went into service on 40 MetroBus vehicles on October 1. Metro Transit would like to thank our customers and employees for your flexibility in adjusting to the new fare collection technology being used by hundreds of transit systems around the world. When the new fare boxes are installed on the entire MetroBus fleet next year, we will join those around the country and around the world who are using this more effective way of collecting bus fares and measuring transit use. The new technology will give us more detailed passenger count information. That will help Metro plan routes to better meet the needs of our customers, and it will also allow Metro to make the most effective use of funds required to operate the transit system. After the first 31 days of the test program, we can report to you that the new fare box machines are validating and counting ridership and revenue at a high degree of accuracy. Further software and hardware changes are being worked on to allow for more efficient bill acceptance and to allow for even more data to provide deeper analysis of ridership. The new fare boxes are the first public look at a fare collection upgrade that has been in the planning stages for some time and is part of technology upgrades we promised residents of the St. Louis region. Everyone anticipated there would be some issues during the test phase with the machines. That is true with every fare collection transition and is the reason for the test phase. 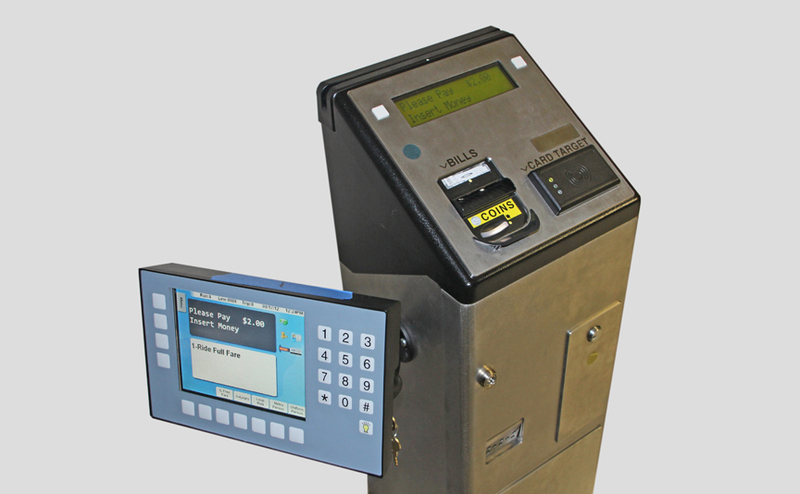 Many of the issues that have been encountered have also been quickly minimized by customers and MetroBus operators adapting to the new fare boxes and by engineers and mechanics immediately making small adjustments to the machines to improve performance. Scheidt & Bachmann manufactures fare collection equipment around the world and it is producing the new fare boxes for Metro. The team working with Metro has been very impressed with the St. Louis community and with Metro in how well we are moving through this test phase. The company also attributed the successful launch to “robust” bus operator training. Bills need to be inserted into the fare box machine one at a time and customers should wait until the machine turns green again before inserting the next bill. Customers who need a transfer please tell the bus operator before inserting any money. This will save both the customer and operator time and will properly record the transaction. The fare box machine can only handle one customer transaction at a time. Please wait to swipe your Metro pass until the customer ahead of you is finished. Metro plans to continue providing helpful information for the customers through posters on the buses and by putting decals on the machines as the test phase continues for several more weeks. After that, the new fare boxes, modified based on results from the test phase, will be manufactured for installation on the entire MetroBus fleet next spring. Metro thanks transit customers, MetroBus operators and the entire community for helping us to move transit forward. I heard the new boxes a lot of trouble. Especially when it won’t take your dollar bills or coin slot, you have to put one coin at a time. Never get were I’m going. Unless I take an earlier bus!